For years we’ve had an plastic hose holder attached to the side of our home and I’ve wanted to replace it forever. It was ugly and it’s not so great to have holes drilled into the siding of a home. 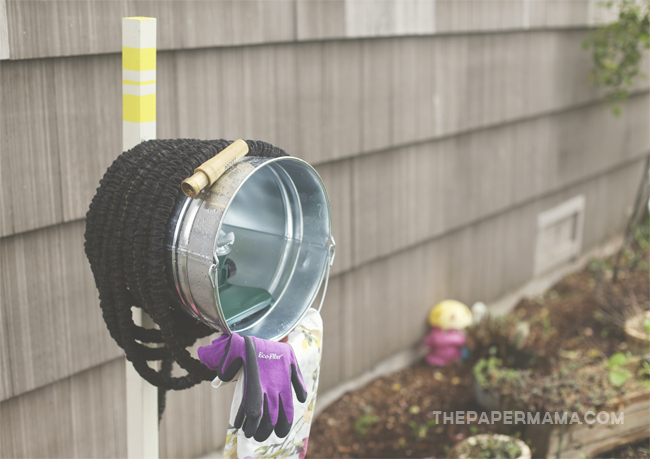 It’s now gone because I made this Bucket Hose Holder to replace the old plastic piece, and I shared it on the Better Homes and Garden blog. Head on over to the Better Homes and Gardens blog to get the full tutorial and make your own. P.S. I’m a paid contributor on the Better Homes and Gardens blog.